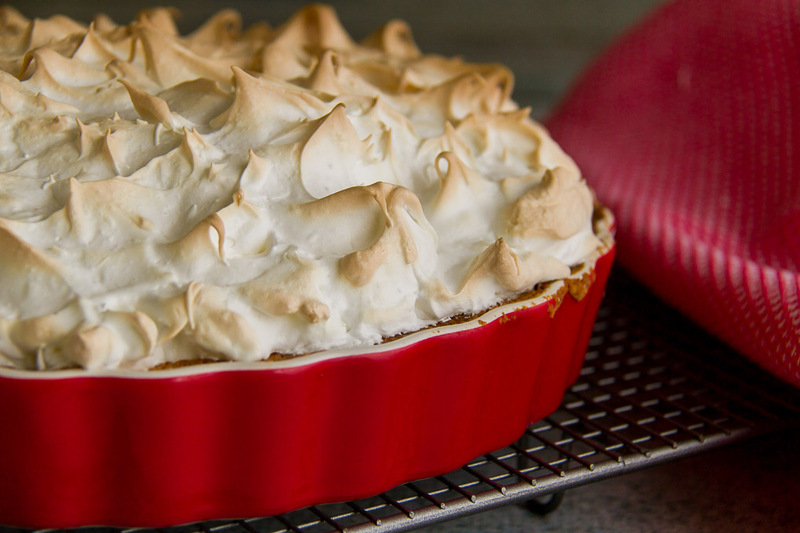 Lemon meringue pie is my absolute favourite dessert. I’m super lucky too, because my mother in law makes the best lemon meringue pie in the world. 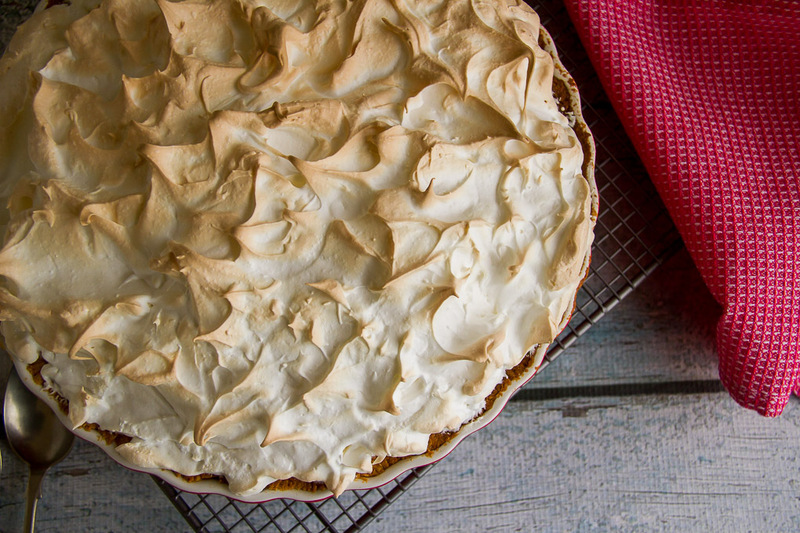 She also makes a date meringue pie, which Country Boy loves even more than the lemon meringue. I have often thought about making rhubarb meringue pie, using the same recipe but using rhubarb juice. The combination of tart rhubarb juice, and sweet meringue sounded perfect to me. At this time of year there is very little to harvest from the garden, so rhubarb is my go to “fruit” when I’m wanting to make a dessert. I was thinking about what dessert to make for church on Sunday night, when I remembered my idea for the rhubarb meringue pie, so I had a go at it. I added a little lemon juice to the mix just to really get that delicious sweet and sour note going well. Just as I suspected it would, it tasted delicious! Place flour, sugar, and butter into a food processor. Process until to crumbly. Add in the egg and additional egg yolk to the mixture, and process again to bring the dough together. Allow the pastry to rest for half an hour. Roll the pastry out till it is half a centimeter thick. Line a 25cm flan tin with the pastry. Blind bake the pastry for 20 minutes or until crisp. Cut the rhubarb into 2cm lengths. Place in a microwave dish with the water. Microwave for 5 minutes or until soft. Drain the rhubarb through a sieve and reserve the liquid - you will need 1¼ c of juice. Discard the pulp. Into a saucepan, place the cornflour, sugar, rhubarb juice, and lemon juice. Bring the mixture on the stove and bring to the boil, stirring constantly. Allow to boil for 1 minute or until the mixture has thickened. Remove from the stove, and beat in the butter, followed by the egg yolks. While still hot, pour into the pastry shell. Add the sugar in, a little at a time, until all of it has dissolved and the mixture is thick and stiff. Spoon the meringue mixture over the filled pastry shell. Bake in the oven for 10 minutes until the meringue starts to golden.